An archipelago off the south-western tip of Cornwall, the Isles of Scilly are actually part of the Duchy of Cornwall. Almost 30 miles off the coast at Land's End, these islands were first inhabited during the Stone Age. Fishing and farming have been the primary source of income until recent times when tourism has become the foremost industry. The Romans referred to the Islands as "Scillonia insula", implying that there was a single island. Archaeologists believe that there may have been a single island originally but that rising water levels flooded much of the low-lying land resulting in the many islands of today. Low tides reveal glimpses of field walls and it is possible to walk between some of the islands at these times. Only five islands are inhabited - St. Mary's, Tresco, St. Martin's, St. Agnes and Bryher, with a combined population of below two thousand people. The many uninhabited islands glory in names such as Hunter's Lump, Great Cheese Rock and Kettle Bottom. Samson is home to several prehistoric monuments while the Norrad Rocks are a haven for seals and sea birds. 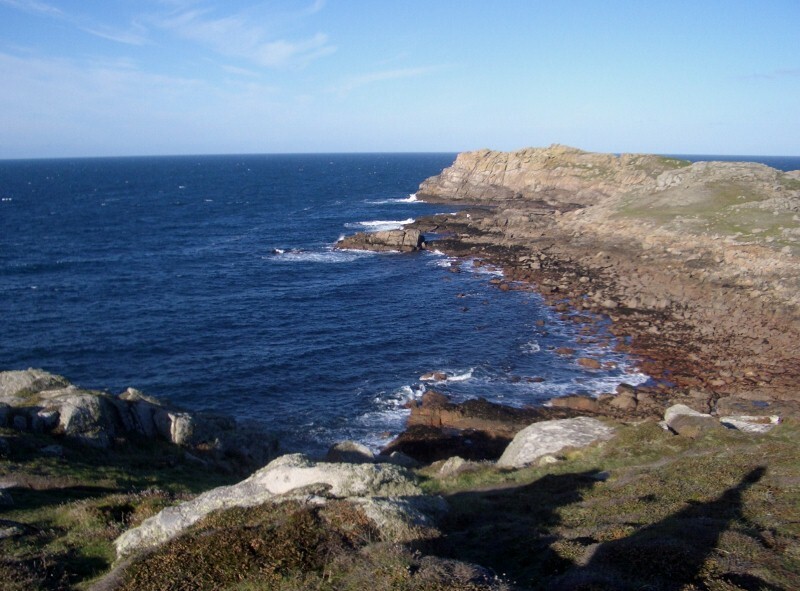 The area around the Western Rocks was the site of countless shipwrecks before Bishop's Rock was crowned with the most South-Westerly lighthouse in Britain. Although exposed to strong winds from the Atlantic Ocean the islands enjoy a milder climate than the rest of Britain and rarely encounter frost or snow. The Abbey Garden on Tresco is home to over 20,000 species of exotic plants that cannot be grown on the mainland except in greenhouses and has been described as 'Kew with the roof off'. St. Mary's is the main point of contact for visitors to the islands with sea and air links to the mainland. It has nine miles of roads and offers shops, restaurants, museums and a variety of accommodation to visitors. With over 30 miles of nature trails and coastal paths to explore this island is a haven for walkers. The Isles were the site of several battles during the English Civil War and the Star Castle, built in the 16th Century is now a popular hotel. Tresco has a heliport with regular flights to Penzance and houses the Shipwreck Museum, packed with treasures sourced from the many vessels that have come to grief on the granite rocks of the Isles. With beautiful sandy beaches, the island is smaller and quieter than St. Mary's, but still has plenty to offer the tourists that land here. St. Martins is only two miles in length, but is packed with restaurants, cafes and some of the finest beaches in Britain. With no public transport and boat trips that tend to pick up visitors on one side of the island and drop them off at the other side, walking is a way of life here although the island boasts a mobility scooter that is available to guests. St. Agnes is a smaller island linked to the neighbouring Gugh by a sandy causeway that is a haven for bathers. The island boasts a maze which is believed to have been created by a lighthouse keeper hundreds of years ago. Bryher is the smallest inhabited island and home to the Fraggle Rock Bar, the most westerly pub in Cornwall. As with all the other islands, Bryher is a haven for birdlife and October sees a host of 'twitchers' descend on the Isles, keen to spot an exotic stranger to these shores. The Isles offer a variety of accommodation for tourists, ranging from top-class hotels to cheap caravan holidays, ensuring there is a holiday package to suit every taste and pocket, from couples to families. With their perfect white sandy beaches and completely unspoiled scenery, the Isles of Scilly are a beautiful hidden gem in Britain's crown.